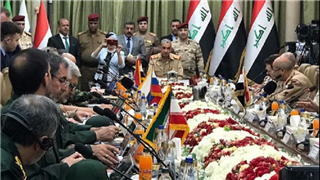 The 8th edition of International Security and Defense Exhibition was launched on Saturday in the Iraqi capital with participation of 102 foreign weapons production companies from 20 countries. 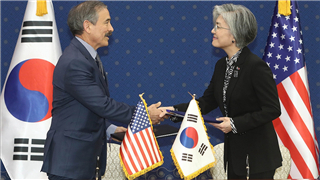 The Republic of Korea (ROK) and the United States signed the Special Measures Agreement (SMA) Friday, calling for an 8.2 percent hike in Seoul's share of the cost of the American troops stationed in the ROK. 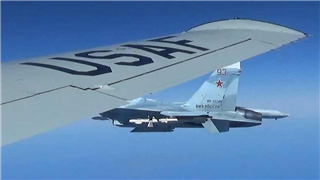 A Russian Su-27 fighter jet has intercepted a U.S. reconnaissance aircraft approaching the Russian airspace over the Baltic Sea, the Russian Defense Ministry said in a statement on Thursday. 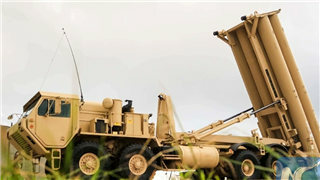 The Israeli military announced on Monday that it had begun a "rare" military exercise with U.S. forces focusing on air defense. 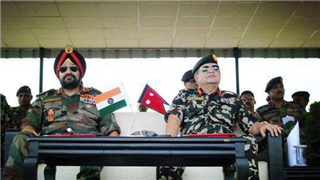 The Indian and Pakistani armies continue to engage in cross-border firing, though there are no casualties on the Indian side in the past 24 hours, said an official statement issued by India's defense ministry on Wednesday. 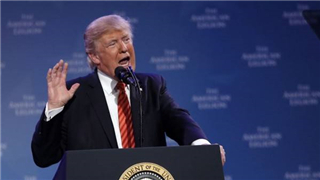 U.S. President Donald Trump on Tuesday signed an executive order aimed at reducing veteran suicides in the country. 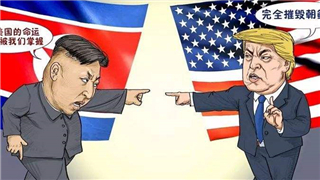 U.S. National Security Adviser John Bolton said late Tuesday that the United States would step up sanctions against the Democratic People's Republic of Korea if Pyongyang was unwilling to abandon its nuclear weapons program. 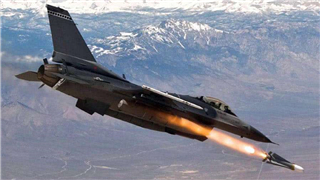 Israeli fighter jets struck on Tuesday night a Hamas military compound in Gaza after "explosive balloons" from the Palestinian enclave reached southern Israel, the Israeli army said. 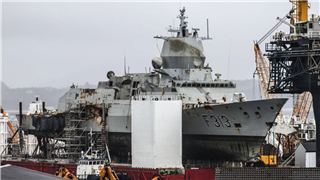 A China-made crane ship has been used to successfully salvage a sunken Norwegian frigate after a six-day operation, the maker of the crane ship said Tuesday. 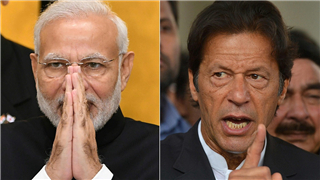 Pakistan has stopped an Indian submarine from entering its waters, the navy said Tuesday, as tensions continue to run high between the two sides. 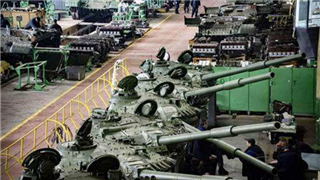 Ukrainian President Petro Poroshenko has instructed to organize a meeting of the National Security and Defense Council (NSDC) to discuss the reform of the country's state defense conglomerate Ukroboronprom, the presidential press service said on Monday. 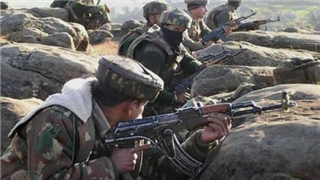 Troops of India and Pakistan Monday exchanged heavy shelling and targeted each other's positions on Line of Control (LoC), dividing Kashmir, officials said. 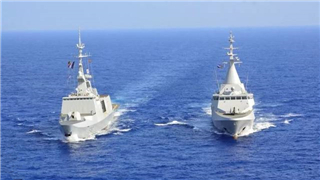 Egyptian and French naval forces carried out joint military drills across the Red Sea, the Egyptian military said Sunday. 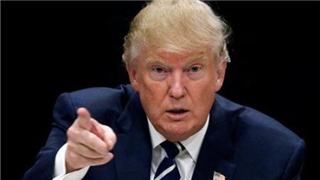 U.S. President Donald Trump said on Sunday that the U.S. latest decision to conclude its military exercises with South Korea aims to save money and reduce tensions with the Democratic People's Republic of Korea (DPRK). 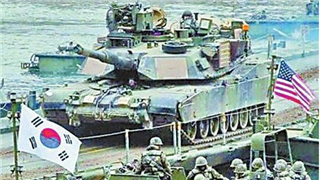 The Pentagon announced on Saturday that the United States and South Korea have decided to "conclude" the Key Resolve and Foal Eagle series of military exercises, which the Democratic People's Republic of Korea has viewed as provocative. 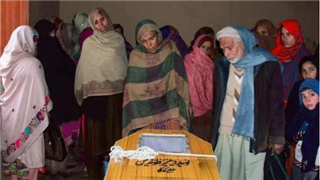 Three civilians were killed while three others wounded in cross-border shelling between Indian and Pakistani troops on Line of Control dividing the disputed Kashmir region, Indian police said Saturday. 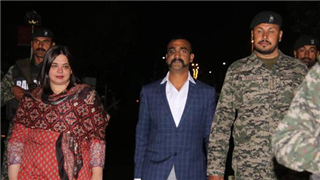 An Indian pilot released by Pakistan went back to India Friday night through Wagah border crossing near Pakistan's eastern city of Lahore, Pakistan's Ministry of Foreign Affairs said. 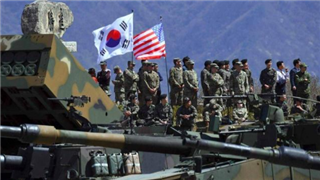 The United States and South Korea would downgrade two large-scale joint military exercises this spring, U.S. media reported on Friday. 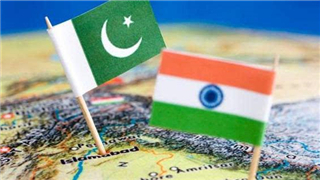 The Pakistani military said on Tuesday that Indian warplanes violated the Line of Control (LoC) in the Kashmir region and dropped "payload" hastily. 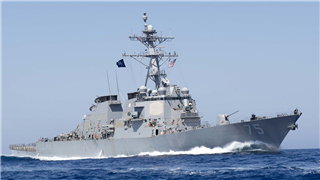 The U.S. guided-missile destroyer USS Donald Cook arrived at the Ukrainian southern Black Sea port of Odessa on Monday, the press service of the Ukrainian Naval Forces said on Facebook. 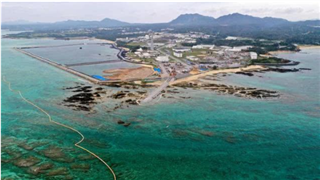 The majority of voters in Japan's Okinawa in a referendum on Sunday rejected the central government's plans to relocate a controversial U.S. airbase within Japan's southernmost prefecture, local media reported Monday after final tallies were counted. 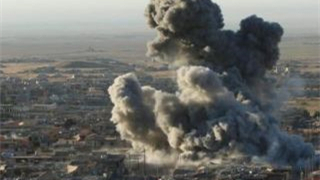 The United States military said on Sunday it conducted four airstrikes in southern Somalia on Saturday, killing two al-Shabab terrorists. 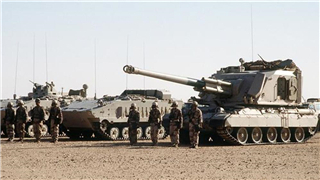 Forces of the Gulf countries began a joint military exercise Saturday in Saudi Arabia's Eastern Province, Saudi Press Agency reported. 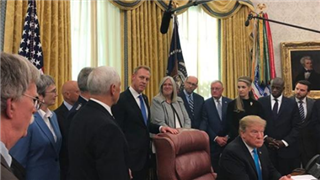 U.S. President Donald Trump signed a directive on Tuesday that directs the Pentagon to draft legislation on creating a U.S. Space Force. 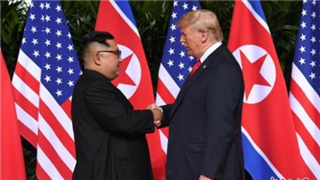 U.S. President Donald Trump said Tuesday that he expected to see the ultimate denuclearization of the Korean Peninsula while pointing out that he had no pressing schedule for that objective. 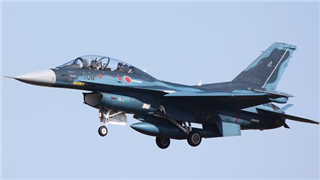 A Japanese fighter jet crashed into the Sea of Japan during a training drill Wednesday morning, but its two crew members were rescued. 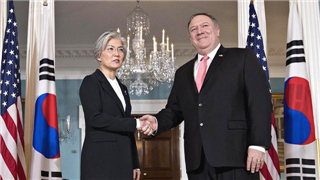 South Korean President Moon Jae-in said in his phone talks with U.S. President Donald Trump Tuesday night that his country was ready to assume any role for the denuclearization of the Korean Peninsula. 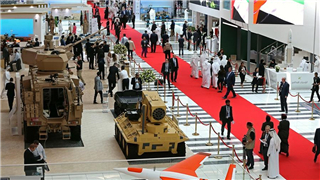 The 14th International Defense Exhibition and Conference and the fifth Naval Defense and Maritime Security Exhibition opened on Sunday in Abu Dhabi, the United Arab Emirates (UAE), state-run Emirates News Agency (WAM) reported. 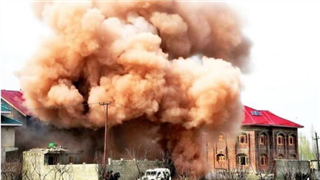 The death toll of a suicide attack targeting paramilitary troopers belonging to Central Reserve Police Force (CRPF) in restive Indian-controlled Kashmir on Thursday has risen to 40, officials said. 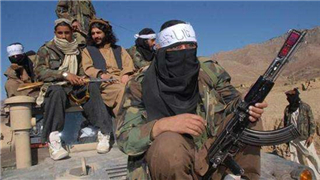 At least 32 people including three civilians have been killed in Afghanistan over the past 24 hours as government forces and the Taliban outfit increased activities, officials said Tuesday. 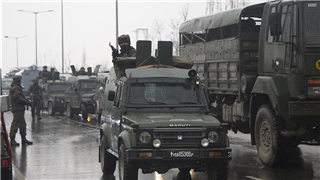 A fierce gunfight between militants and Indian troops broke out on Sunday in restive Indian-controlled Kashmir, police said. 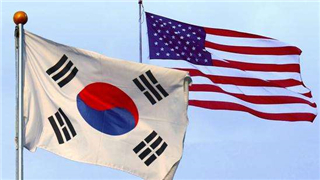 The announcement of schedule for the joint springtime military drill between South Korea and the United States would be delayed until after the upcoming second summit between the Democratic People's Republic of Korea (DPRK) and the United States, South Korea's Yonhap news agency said Friday. 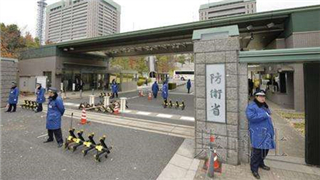 A man broke into the grounds of Japan's Ministry of Defense in Tokyo on Thursday and wrestled with a Self-Defense Force (SDF) member who was on duty, and apparently tried to grab the guard's rifle. 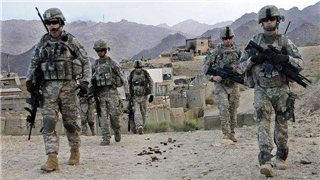 The U.S. military said it intensified airstrikes in Somalia in the past two days as part of the efforts to weaken the al-Shabab's grip on the Horn of Africa nation. 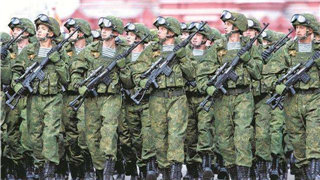 Russia will increase the range of missiles being developed and create ground-based launchers for its Kalibr long-range missiles and long-range hypersonic missiles, Russian Defense Minister Sergei Shoigu said Tuesday. 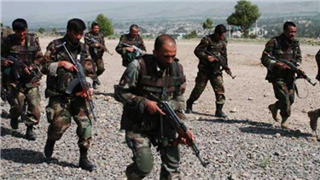 The unknown armed militants gunned down the deputy district governor of Gosfandi district in the northern Sari Pul province, provincial government spokesman Zabihullah Amani said on Sunday. 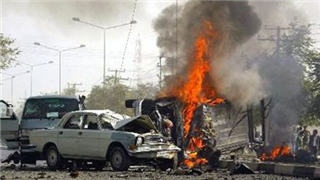 Two people were killed and two others were injured in a blast in a government controlled town of Bardhere in Somalia's southern region of Gedo on Saturday, according to military officials. 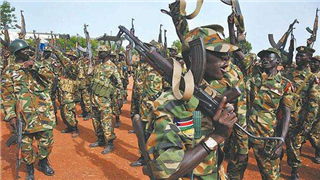 The South Sudan peace monitoring body on Friday called for the establishment of numbers, training sites and start dates of cantonment which it said are an essential step toward the effective unification of security forces. 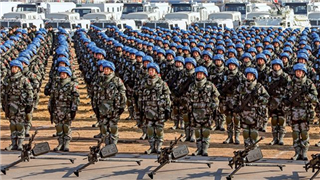 At least 34 United Nations and associated personnel -- 26 peacekeepers and eight civilians -- were killed in malicious attacks in the line of duty in 2018, said a UN spokesperson Thursday. 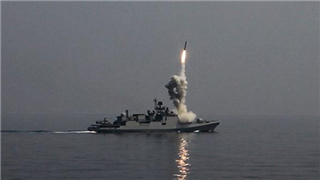 Russian Security Council Secretary Nikolai Patrushev called here on Tuesday for fostering the security and military cooperation with Egypt, official news agency MENA reported.